Did you know that dermal fillers come in two categories? These are temporary and semi-permanent. If you’ve been using hyaluronic acid (HA)fillers to improve facial volume and smooth out wrinkles then you know that results typically last several months to a year. These are considered to be the temporary variety. What if you could have the best of both worlds: instant plumping effects and have your enhancement last closer to 18 months? Now it’s a reality with Radiesse, a semi-permanent dermal filler that’s a longer acting alternative to hyaluronic acid. Radiesse is made with Calcium Hydroxylapatite (CaHA) microspheres suspended in an aqueous gel medium. It’s injected under the skin with a small needle in much the same way as traditional filler and provides some immediate plumping effect. But the real magic happens over time thanks to thousands of tiny beads that stimulate your own collagen in the treatment area.Eventually both the gel and biodegradable beads get absorbed by the body over several months; however, your new collagen lingers, providing volume and structure to the skin. FDA-approved for use in the nasolabial folds (creases around the mouth), Radiesse is also indicated for treating wrinkles and minimizing tendons and veins in the hands. 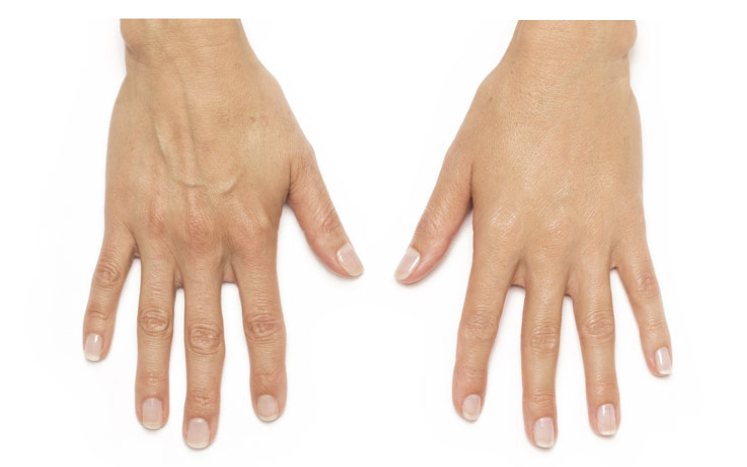 It can substantially rejuvenate the appearance of the back of hands by increasing the thickness and plumpness of the skin. It can also be used to fill in the marionette lines (running down from the corners of the mouth) and enhance volume, fullness and lift in the cheeks. For areas such as lips and tear troughs Restylane is still recommended as the filler of choice. The biggest advantage of Radiesse is that it can generate new collagen over time and has superior staying power over traditional dermal fillers such as Restylane. If you’re a busy mom or professional, or you simply don’t like needles then Radiesse may be a great option for you. It means fewer visits to the clinic will be necessary for maintenance, every couple of years instead of every 4-6 months. 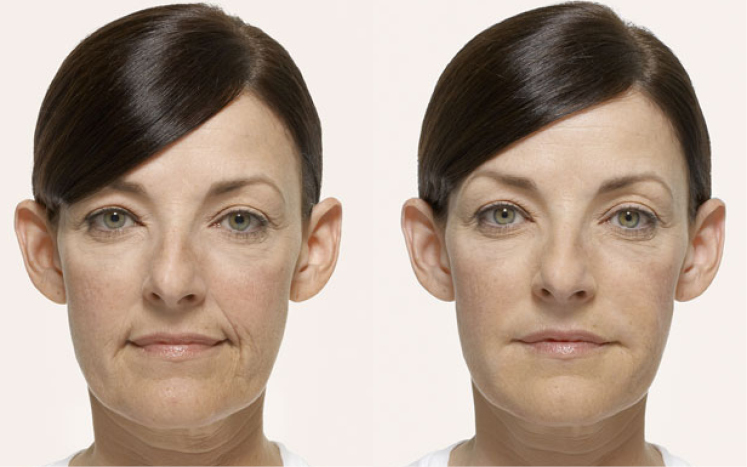 Most patients report a very high rate of satisfaction in longevity and performance with Radiesse treatments. The treatment is very comfortable because Radiesse contains lidocaine, a local anesthetic which minimizes pain during injections. There can be some initial redness, itchiness and swelling. These are completely normal and usually resolve themselves within 48 hours. You will notice some instant improvement in volume as the gel plumps up the skin and smooths out any lines and wrinkles. Over the next 12-16 weeks your body will start to create collagen at the injection site at which point additional improvements will become visible. Give our clinic a call to find out if you’re a good candidate for Radiesse. One of our experienced injectors will go over expected results, pricing and suggest alternatives if necessary.